WOW, beautiful! 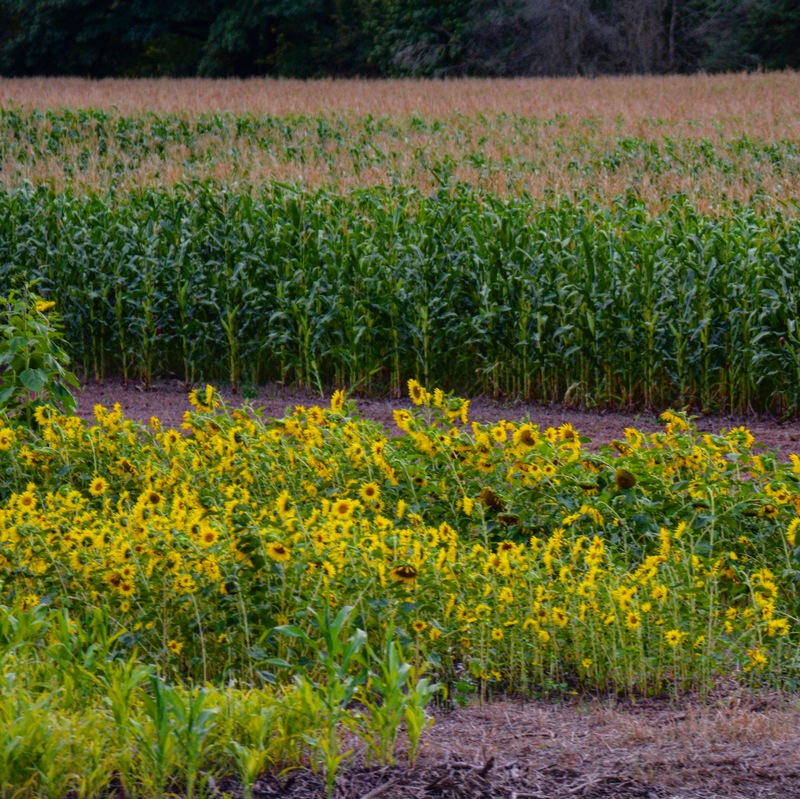 I love seeing fields with crops; corn, sunflowers and everything else! It is a joy driving through areas of farmland and seeing the different crops. Love your header photo; we have enjoyed one White-breasted Nuthatches this summer (maybe its mate was somewhere around). Recently two Red-brested Nuthatches are visiting our yard.They zip in, pick a seed from the feeder and zip away! I’m laughing, Janet… this photo was a drive-by shot taken at a much slower speed along a state highway. My husband and I noticed the field on an afternoon outing to a nearby lake. We noted where the field was so on the way back I would know when to roll down the window to take my chances at getting a photo. He even pulled over a few times prior to the field to let traffic pass, anticipating that he would have to slow down when we got back to this spot! Love the bonus- that you can enjoy these. Although I imagine the fields in S.D. Are much more extensive.